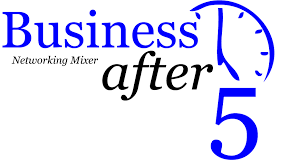 The Grande Prairie & District Chamber of Commerce welcome our Members and invited guests to a Business After 5 Mixer hosted by Chrenek Dion and Associates of RBC Dominion Securities on Thursday, May 30, 2019 from 5:00-7:00 PM. The address is #303, 9906 - 106 Street, Grande Prairie. Join us for an evening of networking, refreshments, and door prizes while finding out more about our host. There's no cost to attend and no registration required!